'Jurassic Blue' follows on directly from `Jackaroo', it begins with a revision of the first finger and then moves on to second and third fingers. Each piece introduces a new rhythmic or technical point, with useful suggestion boxes for the teacher. 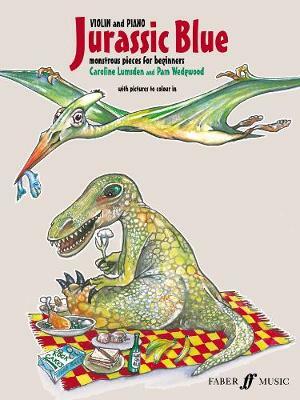 There's also the chance to create you own dinosaurs too, inspired by Drew Hillier's wacky illustrations. With Pam Wedgwood's lively accompaniments and the addition of words, you can even sing along to `Triceratops Rocks'!